Dr. Anne Joutel, M.D. Ph.D.
Dr. Hugues Chabriat, M.D. Ph.D.
Dr. Christophe Tzourio, M.D. Ph.D.
Dr. Stéphanie Debette, M.D. Ph.D.
Dr. Maiken Nedergaard, M.D. D.M.Sc. For a complete list of Martin Dichgan's publications, please visit PubMed. Dr. Dichgans is a Professor of Neurology and Director of the Institute for Stroke and Dementia Research at the Medical Center of the University of Munich were he holds the Endowed Chair for Translational Stroke and Dementia Research. 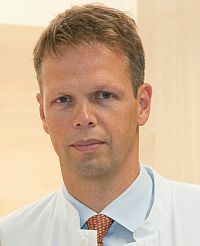 He is head of the Interdisciplinary Stroke Center Munich and an accociate member of the German Center of Neurodegenerative Diseases (DZNE). His major areas of research are the mechanisms, diagnosis and treatment of cerebral small vessel disease and vascular dementia. His methodological focus is in neuroimaging and genetics and the conduction of investigator-initiated studies. He has been principal investigator in a number of clinical trials including a multicenter trial in vascular cognitive impairment. Martin Dichgans received several research awards. He is on the editorial board of the journals Stroke, Cerebrovascular Diseases and Frontiers in Stroke. The Institute for Stroke and Dementia Research ISDLMU (www.isd-muc.de) was founded in 2009 and launched in 2010. The centre is designed as a novel type of research institute bridging the traditional barriers between academic medicine and basic science. Dr. Dichgans is a foremost expert in CADASIL and SVD. He has developed cellular and biochemical approaches, including SIFT (scanning for intensely fluorescent targets) and other cutting-edge technology, to decipher the mechanisms of Notch3 aggregation. He recently generated HtrA1-null mice. He is also deeply involved in GWAS in stroke and migraine and has access to data from large sample collections through international consortia.